Over the past few months, a light has been shined on the African-American man's experience, especially in relation to law enforcement. Throughout the conversation, much attention has been given to statistics: how many African-American men go to jail, graduate high school and go to college. Many of these statistics reflect African-American men's experiences in a negative light, but what if the statistics focused on their positive accomplishments? 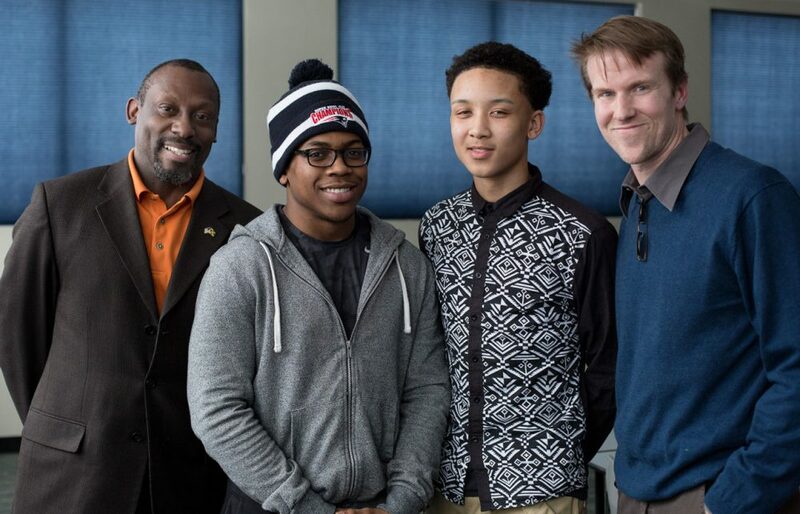 Here & Now’s Robin Young speaks with the men behind the campaign NAACP branch president Neil Osborne, Jack McGoldrick of McGoldrick Marketing, and two of the students involved in #IAmAStatistic. This segment aired on March 18, 2015.